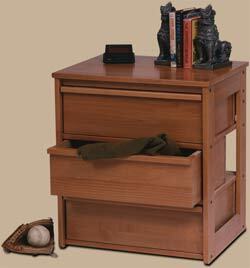 Riddle Manufacturing has been manufacturing quality hardwood furniture and bunk beds for over 20 years. We are located in Aldergrove, British Columbia, Canada. Traditionally we have sold our products to large and medium sized retailers throughout North America. We are now offering our products factory direct which offers you considerable value. We are confident that you will enjoy our quality built solid wood product and hope your satisfaction and realization of good value will facilitate word of mouth orders around your area through friends, relatives and neighbours.